The Wrens Hotel is a small gastropub on the corner of two of Leeds city centre’s busiest streets, close to the Grand Theatre. It is also a real hotel with a handful of rooms to rent. The beer selection is pretty good, and served properly. 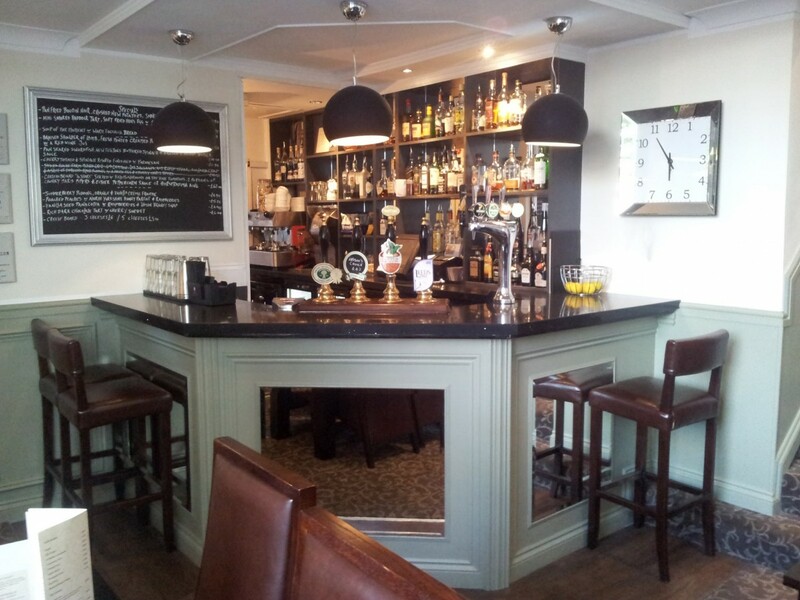 There seem to be 5 or 6 cask ales on at any time, including some guests. For cider drinkers, they have a “real” hand-pulled cider here as well. 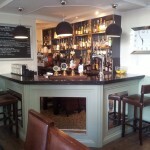 I spotted a couple of my favourite single malts behind the bar too, which was exciting. There are no decent bottled beers to speak of, but then that’s not really what they’re going for. There was a strong feeling of the pub trying very hard to appeal to theatre-goers, and I suspect it probably succeeds at this. I can imagine if we were in there to eat, the atmosphere would be very nice indeed but for after-work drinks it felt pretty stale. 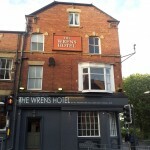 It seems now that this pub is no longer owned by Lewis Cuddy, so if you are supporting the boycott you do not need to avoid The Wrens. 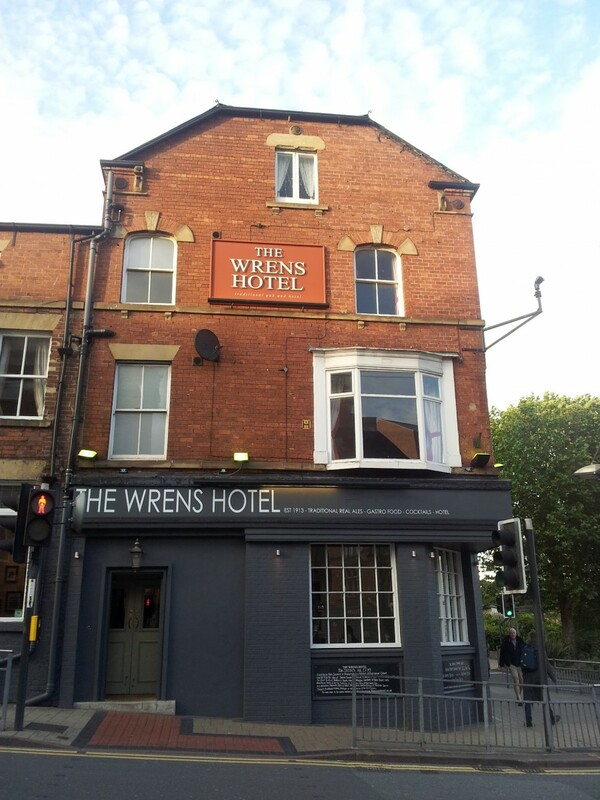 The Wrens used to be a lovely traditional boozer… then they redecorated to look like the bar in a Travelodge. Awesome.